This book gives a systematic treatment of real analytic automorphic forms on the upper half plane for general confinite discrete subgroups. These automorphic forms are allowed to have exponential growth at the cusps and singularities at other points as well. It is shown that the Poincaré series and Eisenstein series occur in families of automorphic forms of this general type. These families are meromorphic in the spectral parameter and the multiplier system jointly. The general part of the book closes with a study of the singularities of these families. The work is aimed primarily at mathematicians working on real analytic automorphic forms. However, the book will also encourage readers at the graduate level (already versed in the subject and in spectral theory of automorphic forms) to delve into the field more deeply. An introductory chapter explicates main ideas, and three concluding chapters are replete with examples that clarify the general theory and results developed therefrom. 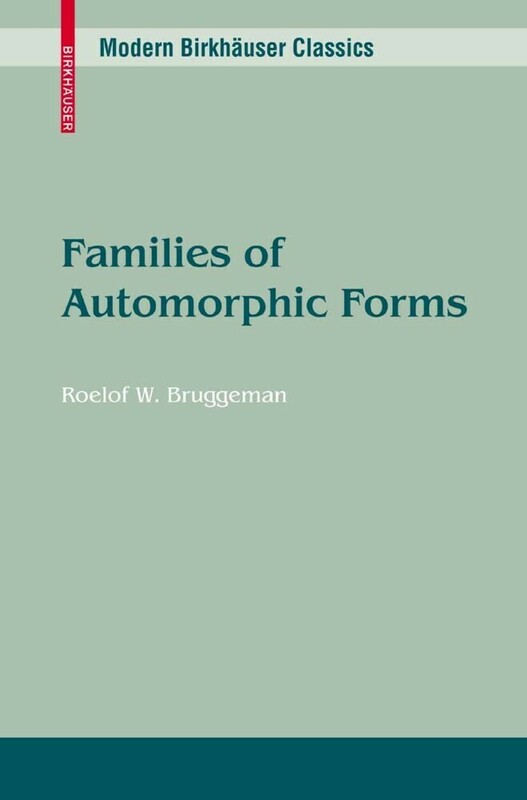 Reviews: "It is made abundantly clear that this viewpoint, of families of automorphic functions depending on varying eigenvalue and multiplier systems, is both deep and fruitful." - MathSciNet TOC:Preface.- 1. Modular introduction.- I. General theory - 2. Universal covering group - 3. Discrete subgroups - 4. Automorphic forms - 5. Poincaré series - 6. Selfadjoint extension - 7. 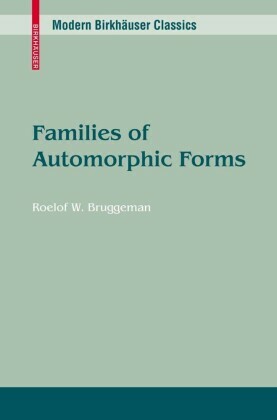 Families of automorphic forms - 8. Transformation and truncation - 9. Pseudo Casimir operator - 10. Meromorphic continuation - 11. Poincaré families along vertical lines - 12. Singularities of Poincaré families.- II. Examples - 13. Modular group - 14. Theta group - 15. Commutator subgroup.- References.